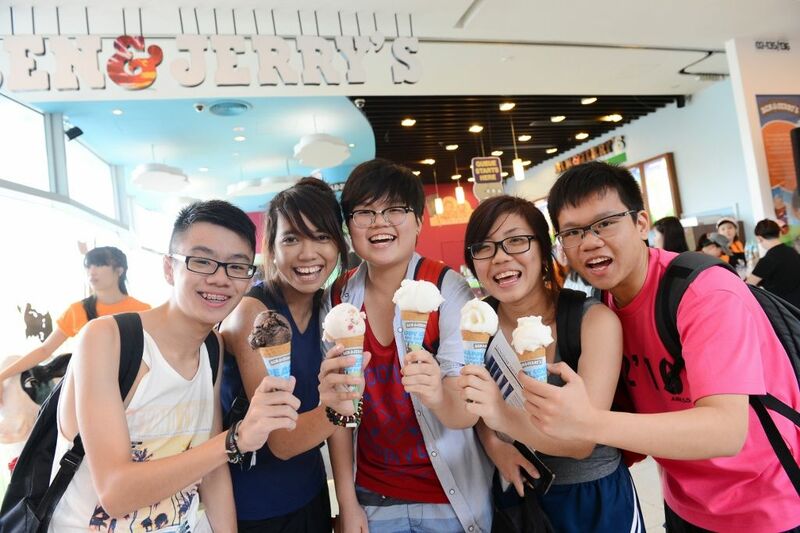 It’s the Ben & Jerry's Free Cone Day again! For those of you who don't already know about this regular event, B&J will be providing all ye faithful moo-niacs a free scoop of ice cream on them on 8 April 2014. From 12pm to 8pm, free scoops will be dished out at four locations- VivoCity, Dempsey Hill, Great World City and Singapore Zoo (till 6pm only). At the same time, join B&J in giving back to the community by donating what you can for the Children’s Charities Association of Singapore (CCA)! CCA is an organisation which works to help the physically, mentally and socially-disadvantaged children of Singapore through fundraising efforts and programs, in order to educate, train and assist them to become independent adults who can contribute to society. The six member charities are: Singapore Children’s Society (SCS), Singapore Association for the Deaf (SADeaf), Cerebral Palsy Alliance Singapore (CPAS), Movement for the Intellectually Disabled of Singapore (MINDS), St Andrew’s Mission Hospital (SAMH) and Association for Persons with Special Needs (APSN). B&J will also be bringing Free Cone Day on Wheels for the very first time in Singapore to visit the member charities under CCA to make sure that no hand is left unconed! How lovely is that!